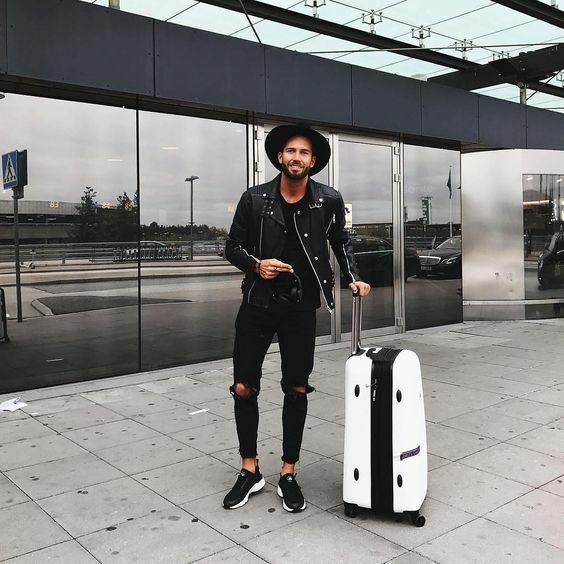 Flying somewhere and don’t know what to wear while travelling? No worries, we are here to help! 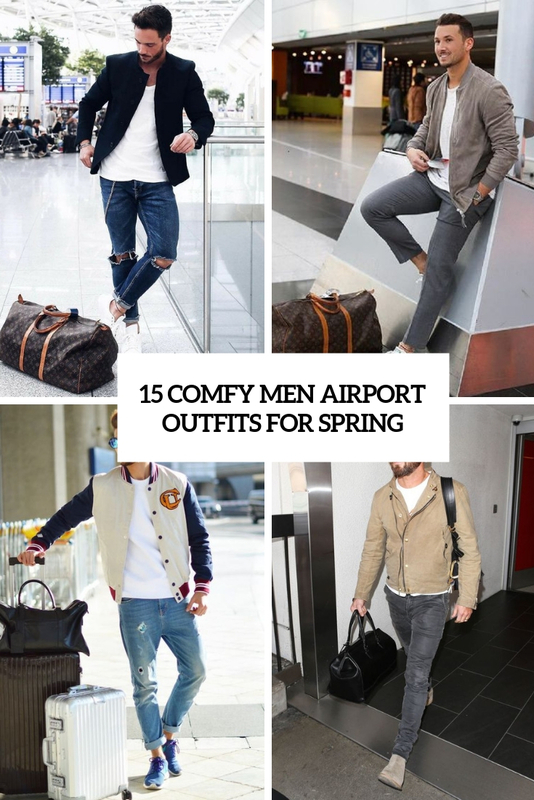 These stylish airport looks are perfect for spring, they are comfortable and look cool! Where to start? 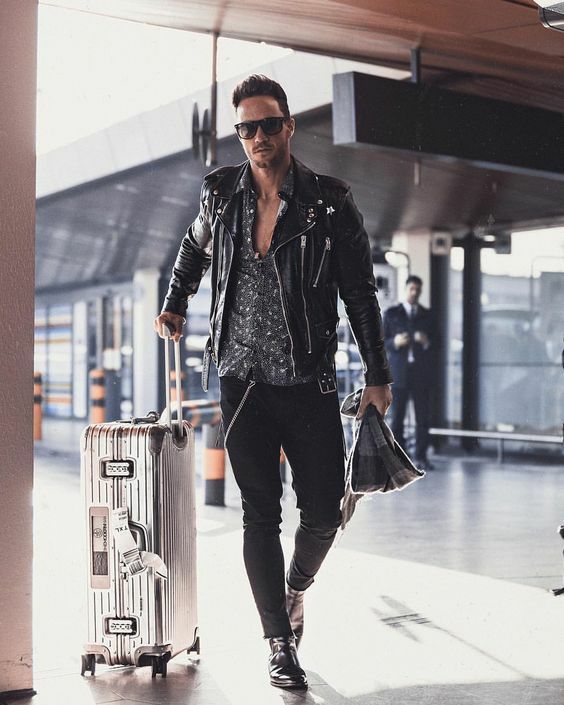 Begin with jeans, sport pants or usual pants, the main requirement is ultimate comfort, especially if the flight is gonna be long. 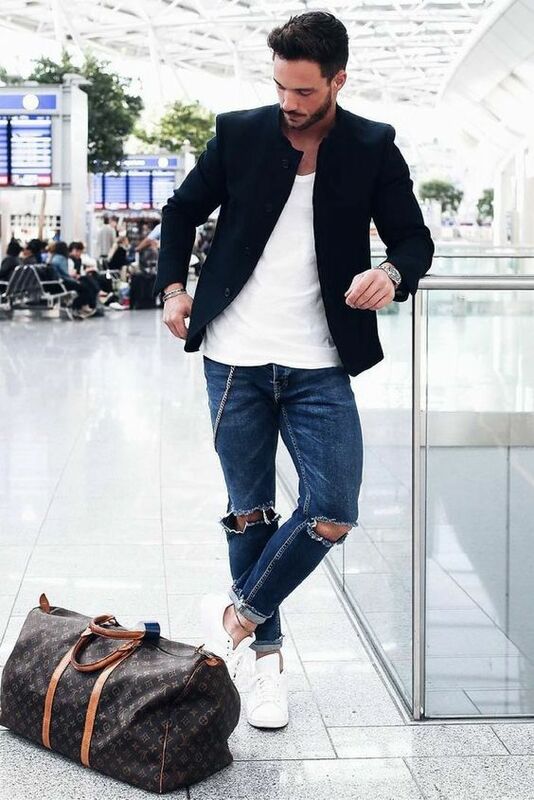 The jeans can be ripped, skinny, straight, of any color that you like, they always look good. Add a tee – a white for a more neutral look or a printed one to catch an eye. 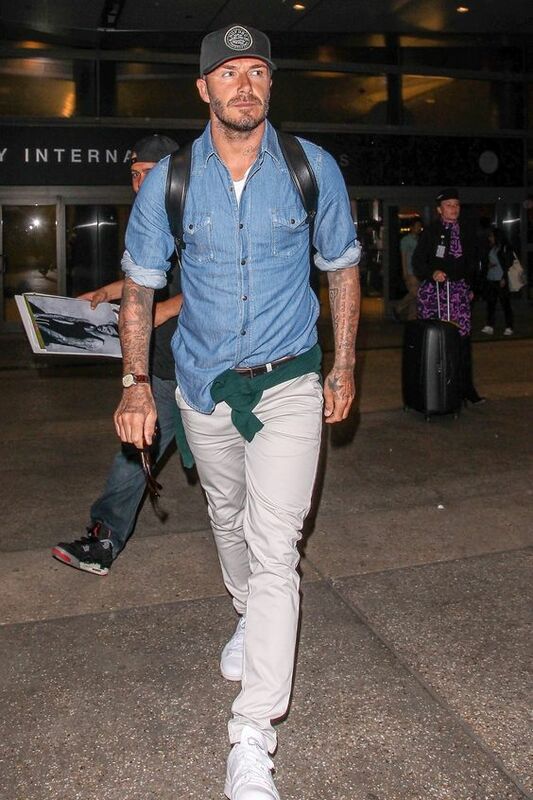 Put on sneakers or trainers – they are optimal for wearing in trips, if they aren’t an option, go for loafers. Choose a coverup – a blazer, a short trench, a denim or leather jacket. 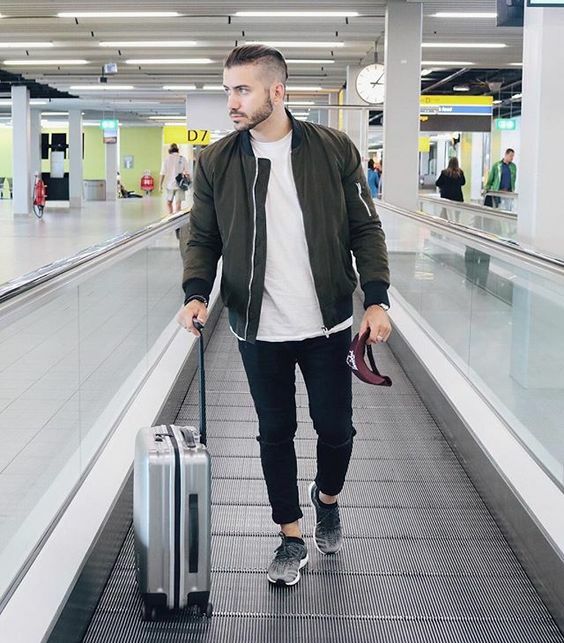 Bomber jackets are still on trend and they are very comfy, so feel free to put on one. You may also add a cap or a hat and voila!